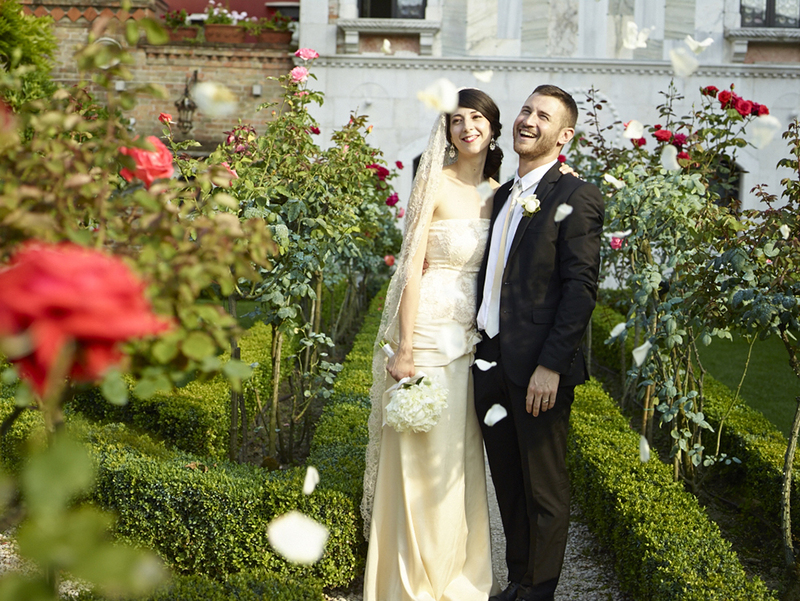 This historic diplomat's palazzo has two lovely gardens for your Venetian wedding reception. 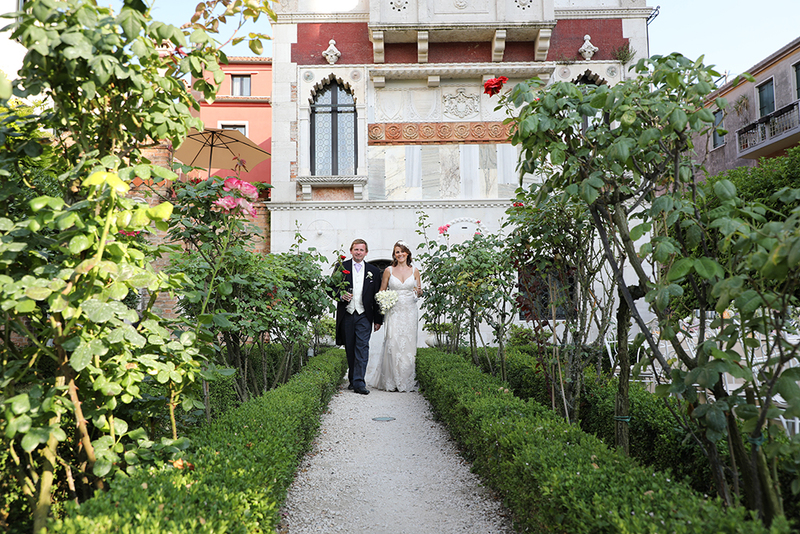 The formal romantic rose garden is directly on the Grand Canal and benefits from the afternoon sun while the Jasmine garden towards the back of the palace is more shaded. 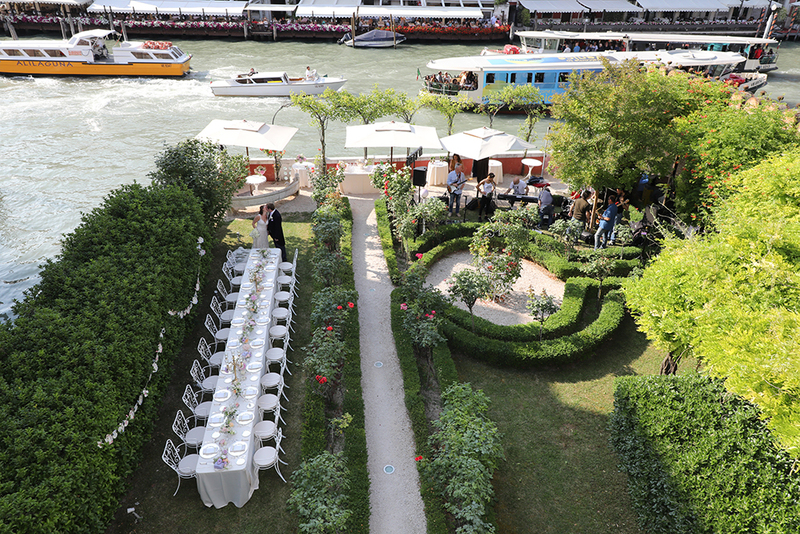 It is possible to hire both gardens for your event or to hire one out exclusively or non-exclusively. 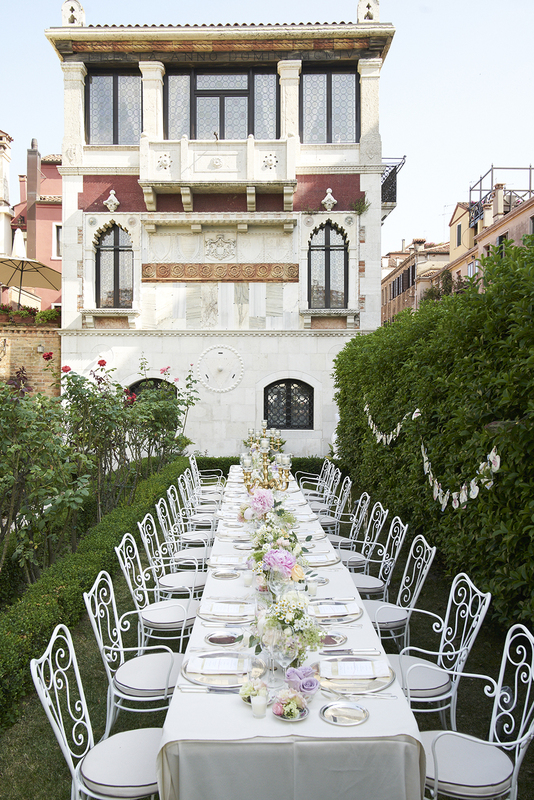 Guest Numbers: Up to 50 guests although this means guests would be sitting in different areas of the garden. Garden: Two different gardens to choose from. Transport: Arrrive in gondola or water taxi to the private boat port. 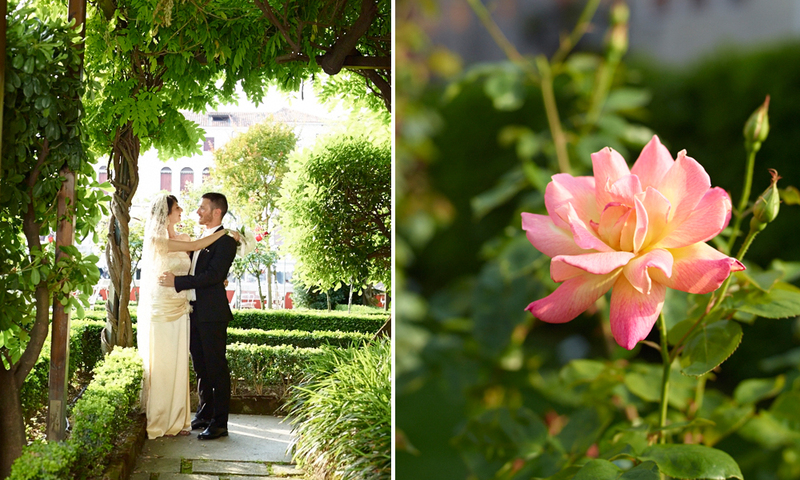 Rain Option: Weddings will be moved inside in case of poor weather and limited to 50 guests. Accommodation: This four star hotel has 22 rooms and other hotel options nearby.